The Translational Molecular Neuroscience Group is interested in developing novel tools, resources and approaches to enable discovery of new therapies for patients with neurological disorders. We use human induced pluripotent stem cell (IPSC) models to generate brain constituent cell types from neurons to microglia to the cerebral vasculature. We then using omics technique such as single cell transcriptomics to identify disease signatures and relate these to cellular disease phenotypes. In order to identify cellular phenotypes we use microscopy, calcium imaging, multi-electrode arrays and patch clamp electrophysiology as well as a range of molecular biology techniques. 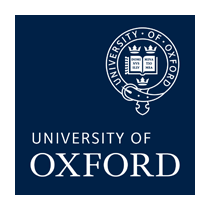 We are part of Oxford University (UOXF) – one of the foremost research Universities in the world, ranked 3rd overall across all areas but most relevantly 1st in the world for clinical, pre-clinical and health (Times Higher Education World University Rankings). UOXF has a strong clinical-academic and academic-industry partnership in stem cell-based neuronal disease models and drug discovery strategies. UOXF are involved in the biomarkers of autism project.